Muddy rivers, mountainous views, smiling people in villages. The longest drives I have ever taken, the constant smell of fish, rice shared over long tables, a familiar culture spoken in an unfamiliar tongue. These are my memories of Southeast Asia. I spent three weeks traveling across Cambodia, Myanmar and Thailand volunteering as a photographer for In Better Hands — a non-profit organization that helps trafficked children or children in danger of being trafficked in the area. I visited local churches, villages and safe homes located deep in the mountains and rural areas. It was one of the most difficult trips I have taken as an adult and one that I will not forget too soon. I learned about Cambodia, the corruption related to human trafficking, and the poverty that results in children being sold by their parents. I traveled across Myanmar and learned about the ongoing civil war that has been raging in the country for 70 years. I read about the Rohingya refugees that are still under persecution and visited safe homes that used to be war zones a decade ago. I photographed children in safe homes that were lost without names and family as a result of the war. The hardest part of Thailand was witnessing young women that were just like me, working on the streets working in occupations that pretty much broke my heart. The worst was understanding that the trafficking industry is largely supported by tourists like you and me. 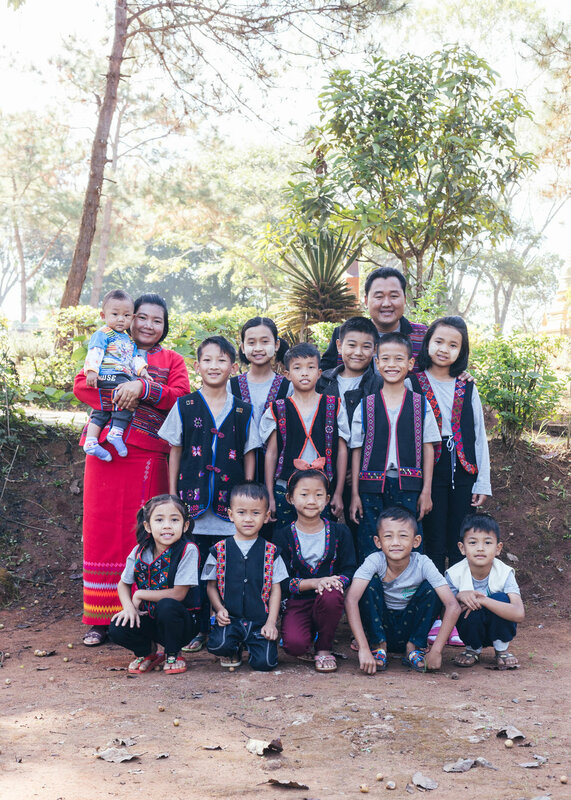 Group photo of a safe home in Tachileik, Myanmar. Each home consists of a pair of house parents and 10–12 children that are brought in from each area. During my trip, I experienced a lot of self-doubt. A lot of wondering “How can something like this exist in the world?”. Some days it felt like the injustice was too much to take in and the easier thing to do would be to stay in my room and refuse to acknowledge these terrible truths. Yet as a photographer and someone who was raised half of my life in Asia — I felt a sense of responsibility to share about what goes on outside the comfort of our daily lives. Documenting a safe home in Pyin Oo Lwin village, Myanmar. Many of these children lost their homes to due to the civil war that has been going for the last 70 years. Most of these children don’t know their names, age or where they are from. The things I took away from this trip was that is was okay with not be comfortable, and understanding that it will always be a challenge working on issues that are easier to ignore. I grew in empathy and listening to people that are from cultures different than mine. I grew in compassion for people that live in places far away and for people that are close to home. Southeast Asia was beautiful. It is a place that is raw, mysterious, and pure. There were moments where I found contentment walking through the countless pagodas, scouting locations, and enjoying the hospitality of the locals. There are beautiful places that are yet to be touched by western culture. It is a place where people value simple things — family, food, shelter. A job to provide all the above. To conclude, I am encouraged coming back to North America. People have asked me what I took away from this trip. My answer is — be here now, be present, love people that are in your life now. Read Everybody, Always by Bob Goff. Start where you are. Travel is really understanding that that world is immensely beautiful and broken. It is finding an urgency and purpose in creating beauty and knowing that your voice matters. It is making a choice to keep reflecting what is good, beautiful and true. It’s going to be good. Learn more about my GoFundMe project here or directly support the organization In Better Hands here.